All praises be to Allah, The Creator of The World, which make a book review of “Euforia Emas” had been successfully held by Muamalah Community at Masjid Al Bakrie, Rasuna Epicentrum on Jummah, 29 Dzulhijjah 1432 Hijri. The content of the book covers A-Z regarding the gold utilization as the true celestial currency until the artificial value and function of it. In recent days, since Aug 2 2011, there was a unique movement in investment alternatives. It was started by the issue regarding the increment of U.S. debt ceiling, the U.S. default risk, and the impact on U.S. downgraded credit rating by SP500 to be AA+ government bonds. This serial phenomenon shocked entire U.S. investor, especially China as the biggest debt holder of US bonds. As a result, the artificially universal currency so-called US Dollar was being stared to be left as the promising financial assets. When U.S. had faced default at the time, a rocketed investment alternative had been spotted by every individual being in this planet, which is precious metal investment. A significant skyrocketing price had been shown by precious metal, especially gold metal as legendary safe haven. After having the slumps on the U.S. credit, gold which previously was on the level of around USD 1,600 was quickly adjusted to be USD 1,700 in few hours. Moreover, in around September it was settled in USD 1,900 level. Average return of it is about 27.7% in four months and 18.7 % in one month only (Faizun Muhtada, 2011). This kind of return was a promising return on investments for any individuals who held it, especially for short term traders. Regardless of those phenomenons, an emerging ‘Islamic economy’ movement so-called Amirat Nusantara (WIN nowadays) has stood and preached about the true utilization of bimetallic silver and gold as the celestial currency, not as instruments of investment. Silver (dirham) and gold (dinar) was a universal currency in the entire world in former age of human civilization. A big issue emerged in middle and late of 20th century which altered the true functions of them as medium of exchange to be merely as a safe haven. Therefore, a lot of commercial gold traders and their networks take the advantages of it in the investment market. 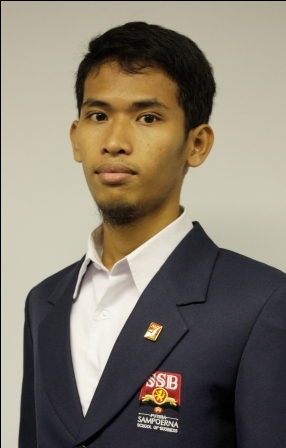 In this book review of “Euforia Emas”, Zaim Saidi as the author of the book, from 12.30 until 14.30 had delivered the content of the book to the whole audiences which were the young executives, experts, and entrepreneurs. Multi professional background has been united and melted into one basis on one universal currency, the currency which had been created by The Creator for whole human being, the currency which will unite Muslims as one Ummah. Hmm, I wonder If we use dinar/dirham as our currency (all of us), it will unite us? Can you explain more?. Of course we’re not doubt with the value. But for the utilization, is it possible to be used in all country? Since dinar/dirham only produce in Arab. Maybe, it could be. If we see the value of gold that is more stable than common currency. Recommended reading: Absolute Puchasing Power Parity Theory and its paradox. P.S. Dinar/Dirham comes from empire of Heraclius, well known as Dinarius at the time. Nowadays, they are minted in several part of the world, especially in Malaysia as the most advanced country at Islamic Banking industry. 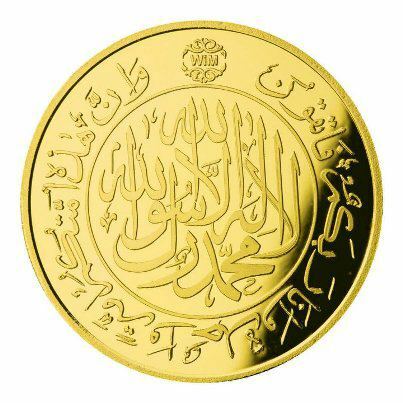 In Indonesia, they are minted by numerous parties such as ANTAM (http://antam.com and http://logammulia.com), peruri, Wakala Induk Nusantara (http://wakalanusantara.com , Islamic Mint Nusantara (http://dinarfirst.org), GeraiDinar (http://geraidinar.com), etc. and alhamdulillah spread widely.